Over the past decade, there has been a growing understanding that the solution to many problems in developing countries must include the active participation of the people living there. On the ground, this means local doctors and public health scientists who can research endemic diseases and health issues; agricultural researchers geared to local crop and climate conditions; and environmental researchers who address impacts in their own backyard. In terms of research, one of the most positive signs for Africa has been the recent increase in research being conducted by African scientists. From 1996 to 2012, the share of the world's articles with African authors nearly doubled from 1.2% to about 2.3%. This increase has important implications, demonstrating a rapidly increasing potential for "South-South" information transfer. Through published research, what is learned in one country can provide the basis for improvements in other developing and emerging regions. The Library of Alexandria in Egypt is a compelling example. Having benefitted from access to ScienceDirect and Scopus since 2006, the library – with its proximity to many of the least developed and low-income countries in Africa – is well positioned to transfer knowledge and experience on the most effective ways to use these resources. Elsevier and the Library of Alexandria (Bibliotheca Alexandrina) have signed a three-year memorandum of understanding to provide access to ScienceDirect and Scopus to 150 researchers and organizations in the least developed and low-income countries. "Science can help feed the hungry, heal the sick, protect the environment, bring dignity to work and create space for the joy of self-expression," said Dr. Ismail Serageldin, Director of the Library of Alexandria. "But if we do not build capacity for the deprived to have access to the best of science, the gap between the rich and the poor will increase.This is intended to empower many researchers in Africa to have access to the best of science today." As an integral part of this initiative, the library will facilitate research capacity building, or the development of strong research skills through a closed Virtual Knowledge Community to provide the scientists with regular support including: research best practices, information literacy and authorship skills training. Many of the 150 scientists and research organizations who will be granted access to ScienceDirect and Scopus focus their research on areas relevant to the UN Millennium Development Goals including the treatment and prevention of diseases such as HIV/AIDS, malaria and tuberculosis; promoting rural development with improved water, sanitation and food security. Free access remains a vital and entrenched means of carrying out scientific research. ... As a result, there is an increasing activities in evidence-based scientific activities, policy-making, advocacy (to decision-makers and the general public) and problem-based learning, in which students and scientific practitioners learn from the experience of actual cases that are written up in the journals. All of this would likely be impossible without access to online resource such as the ScienceDirect that are available for free access. This has made it possible to develop informed and relevant research agendas, create well-informed and successful research grant applications, conduct research which would command increased respect from peer reviewers and journal editors, and establish credible relationships with the scientific community worldwide. Mohamed Kamel, who signed the agreement as Elsevier's Regional Director for Africa, based in Egypt, explained what this means for Elsevier as a publisher: "It is a real honor to support the critical work the Library of Alexandria is undertaking to provide access to information, develop capacity and drive science in key developing world institutes, bringing researchers closer to their peers across the world. This is a carefully targeted South-South knowledge exchange which we see as part of our overall effort with Research4Life and the Elsevier Foundation to provide clinicians, researchers, and policymakers in the developing world with access to the information they need to address critical health and sustainability challenges." The agreement and Virtual Knowledge Community build on a seven-year partnership between the Dutch Royal Tropical Institute (KIT) and Elsevier. After the first agreement was signed, KIT actively developed the concept, quickly demonstrating the effectiveness of research support and interventions through high ScienceDirect and Scopus usage statistics from Virtual Knowledge Community users. Elsevier has been partnering with the Royal Tropical Institute since 2007. 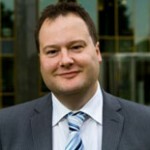 Hans van Hartevelt, Director of KIT Information & Library Services, who is managing the transition of the memorandum to the University of Alexandria, remarked in 2010, "Elsevier and KIT have a long and productive relationship. The continuation of this initiative provides our partners in the South with access to a wealth of information that is directly relevant to their research. The association of the program with the Elsevier Foundation and Research4Life provides both recognition and sustainability." The effectiveness of the network, and the high usage rates we saw over the years, really comes down to the personal connection. It makes such a difference for a researcher hitting a wall to be able to quickly reach out to me or their own network colleagues to clarify search points or reference management issues. We're greatly relieved that this valuable Community has found a good home with the Library of Alexandria, ensuring its sustainability. 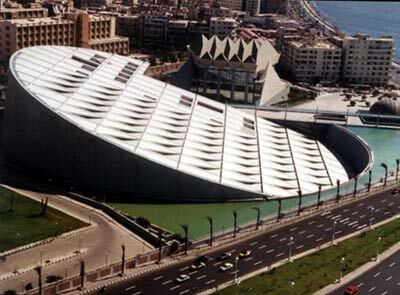 When the KIT Information and Library Services department was faced with closure in 2013 due to funding cuts, it was the Library of Alexandria that stepped in, adopting the lion's share of the development collection: over 400,000 volumes – enough to stretch 7 kilometers if laid out side to side. Situated close to the original site of the ancient Library of Alexandria, The Bibliotheca Alexandria, the new Library of Alexandria, inaugurated in 2002, is dedicated to recapturing the spirit of the original library. It aspires to be the world's window on Egypt and Egypt's window on the world. "Connected to the academic world," originally published in Capital, Vol 12 No 622, November 14, 2010. Ylann Schemm (@ylannschemm) manages Elsevier's corporate responsibility program, including the Elsevier Foundation , which focuses on advancing women in science and developing research access in the developing world. She is the communications team chair for Research4Life, a unique UN-pan publisher partnership to provide free or low cost access to researchers in the developing world. She is based in Amsterdam. Roundtable: What are the barriers to scientific independence in Africa?